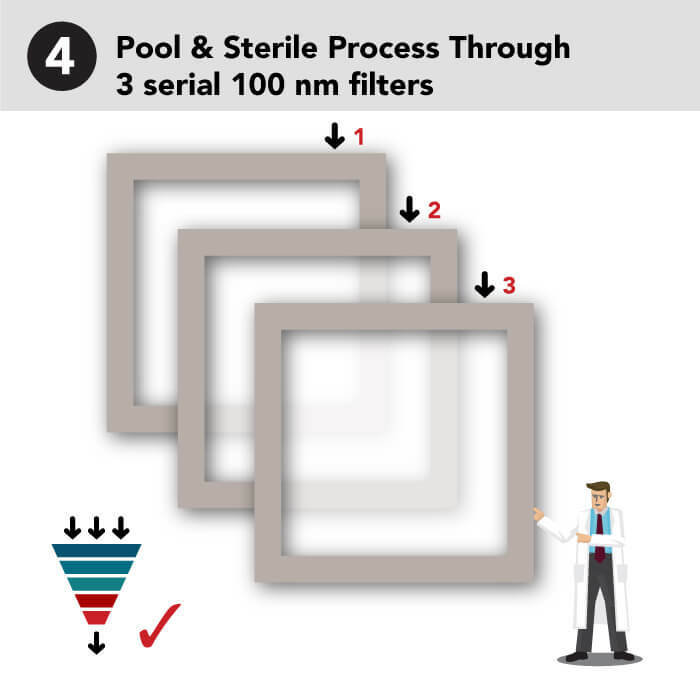 We produce only best-in-class cell culture products. Hold up our bottled sera and you’ll see that the proof is in its clarity, and we guarantee these results from the first bottle to the nth. 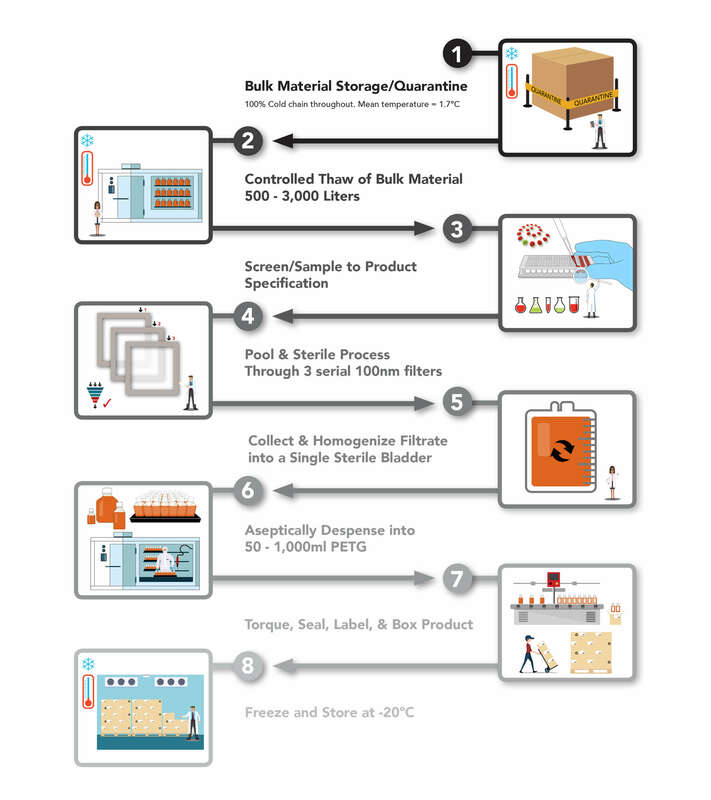 Because we honor the process and don’t cut any corners, you get the world’s clearest and highest performing native sera, with certified traceability. 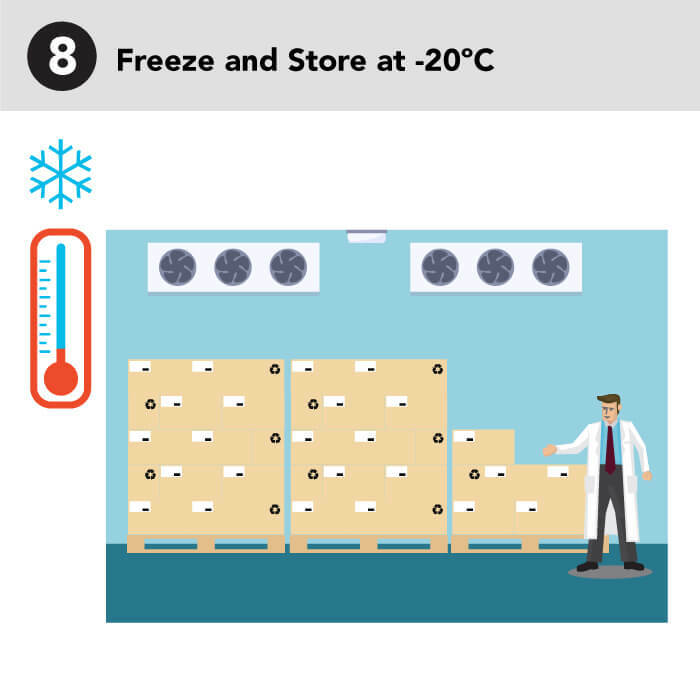 Our process is 100% cold chain with a mean processing temperature of 1.7 degrees celsius. We make a difference by being different. Our quality is never diminished. 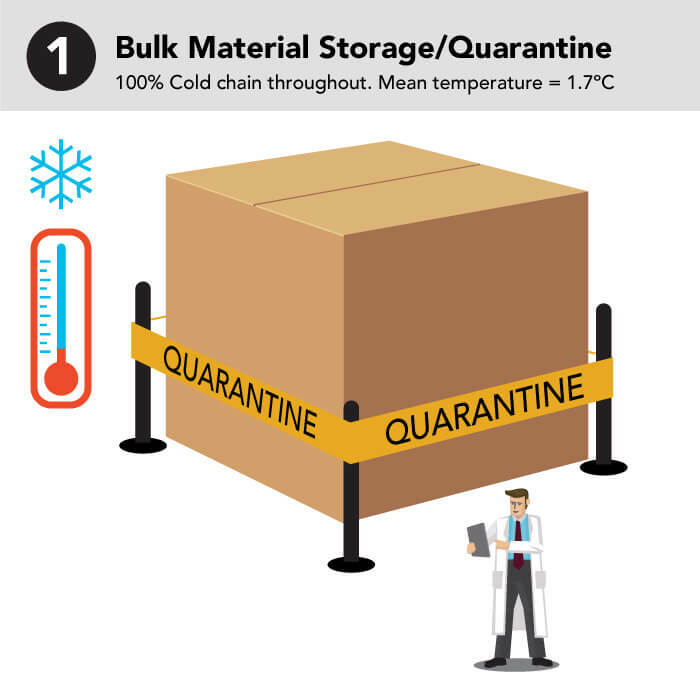 Serum is thawed under strict guidelines and maintained at less than 8 degrees celsius for the most complete cold chain found anywhere. 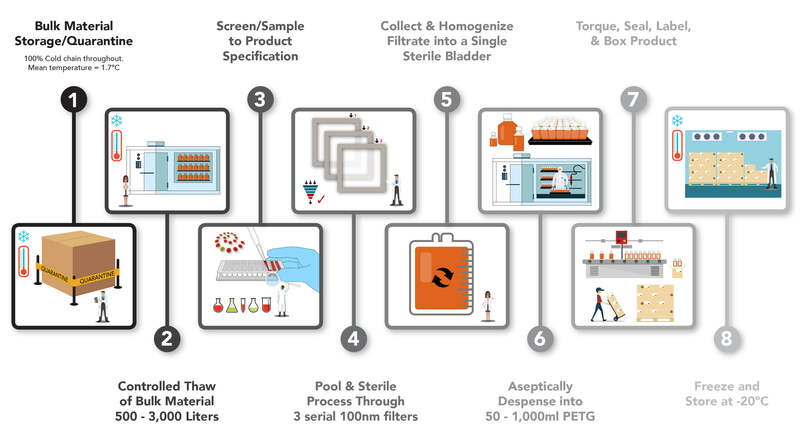 Unlike others who process serum in reusable stainless steel vessels routinely sanitized with toxic chemicals, Axenia BioLogix prides itself in employing single-use, recyclable processing components. This means the highest possible yields and a minuscule amount of waste, saving its clients thousands of dollars along the way. Consistency means that there is no biochemical difference between the first bottle and any subsequent bottle. 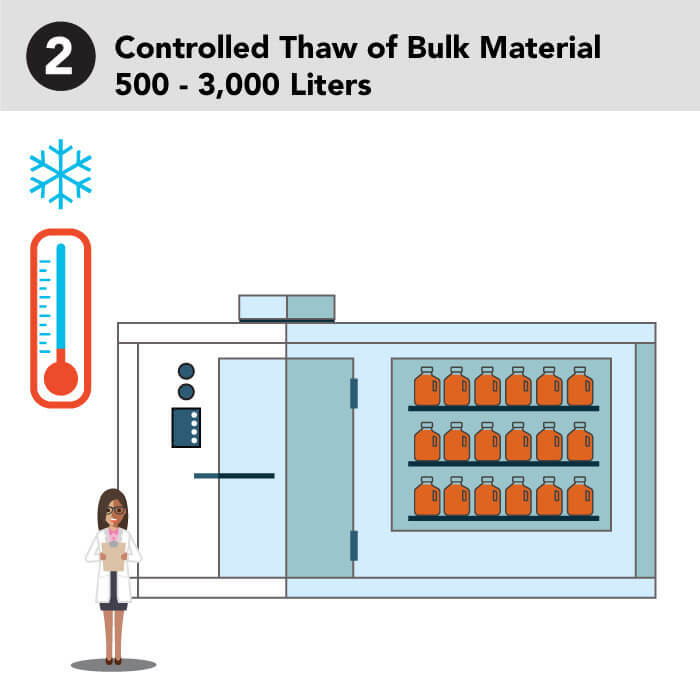 Every bottle within a lot is identical for all intents and purposes, whether the lot is 1,000 bottles or 6,000 bottles. 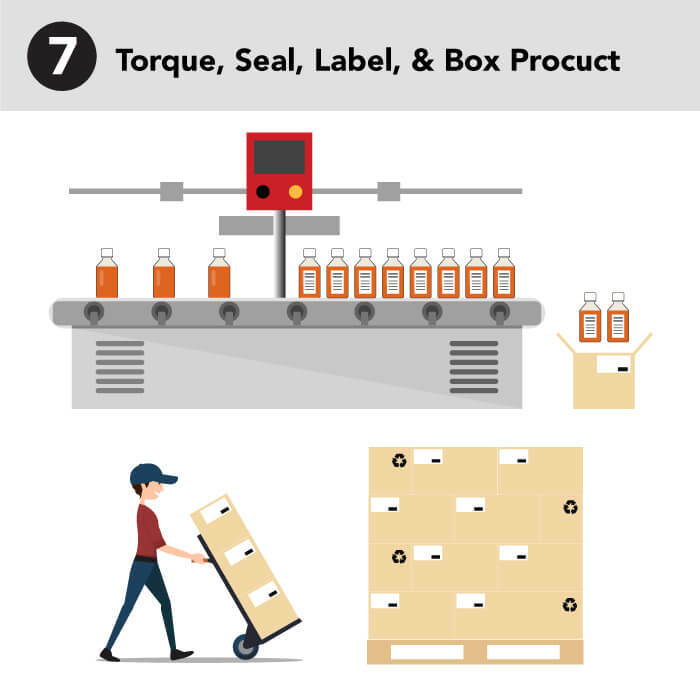 Our seamless process for both import and export of sera products make us unique, customer-focused, and willing to go the extra mile for all of our customers. 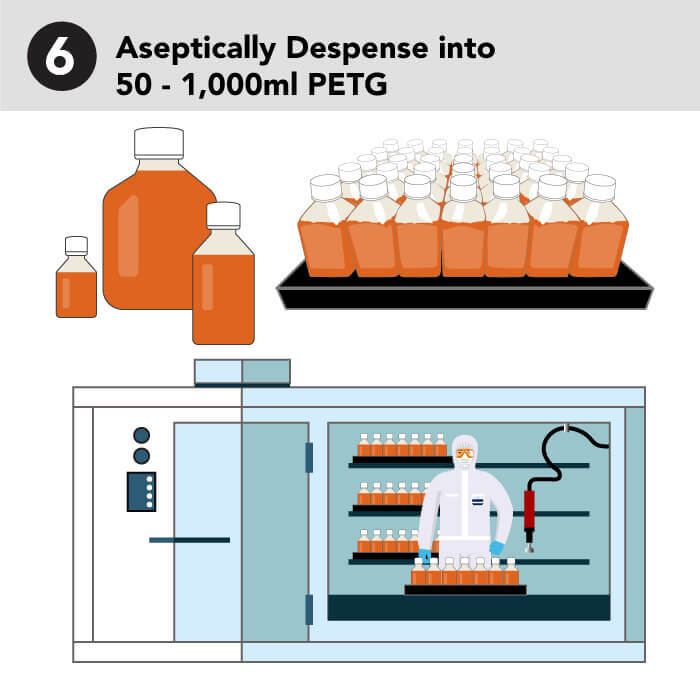 Serum is fundamental in the manufacture of vaccines and in the research and development of new clinical therapies. The importance of serum in this role remains unrecognised. 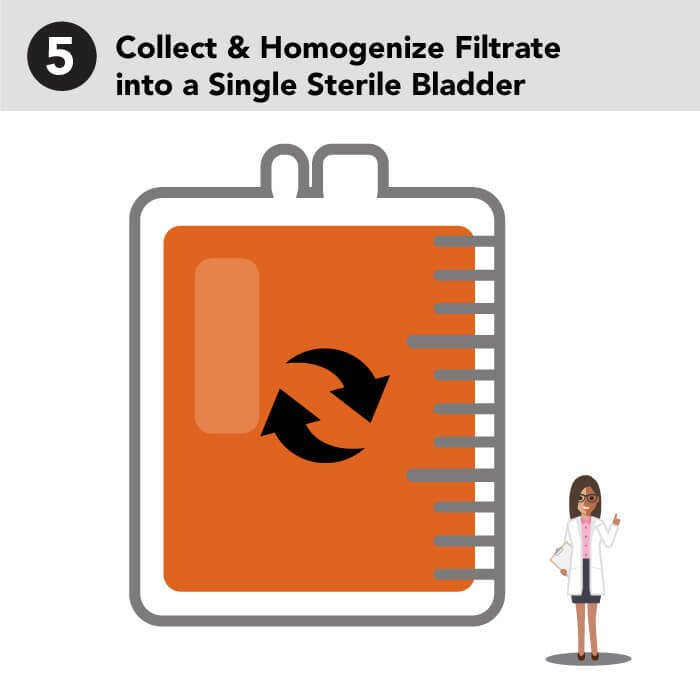 As new therapies continue to be developed, the demand for these products will increase together, as will the need for full transparency and traceability. 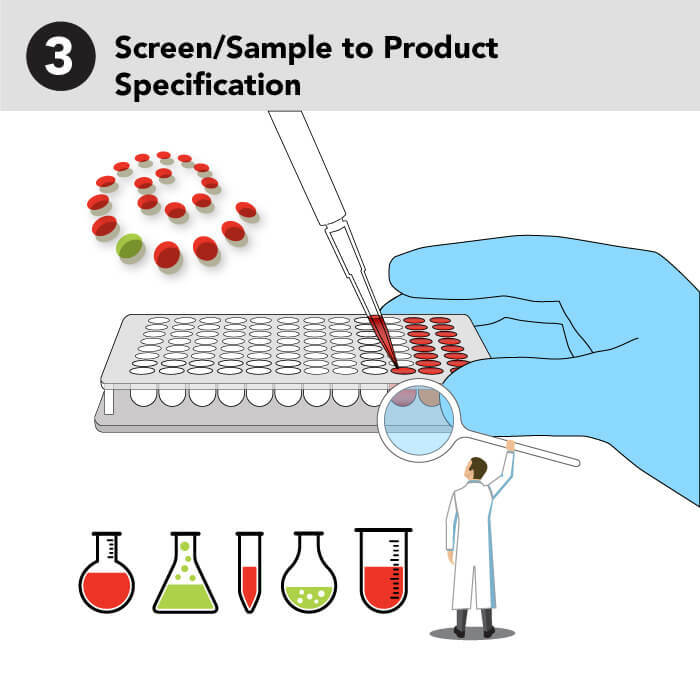 Companies such as Axenia and Life Science Group, who care deeply and passionately about these products, continue to lead the way in producing reliable, quality material thereby assuring a sustainable future for the industry. Here’s a video we made back in 2010 when we opened our new facility. Thanks to the loyalty of our like-minded customers, we are thriving and producing more product in 2019 than ever before. And our mission stays strong; daily, we aim to produce the highest quality sera on the market while steering the serum industry to a transparent future, one new customer (and friend) at a time. Find out more about sera, why Axenia Biologix founder Stephen Judd cares so much about it, and why the ISIA is so important.